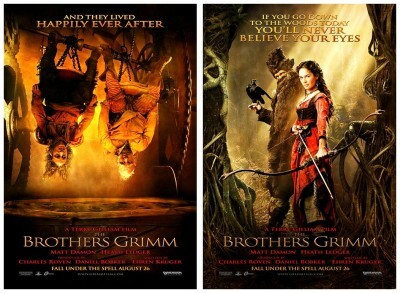 The Brothers Grimm (2005) is a swashbuckler of limitless invention. In the film’s opening sequence, an emblem of childhood whimsy – the leg of a wooden rocking horse – gets hurled into a fire, giving some temporary warmth to an impoverished family. 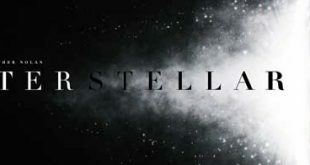 This fleeting action represents the themes at the movie’s core: The rationalisation of fantasy into science and the deconstruction of imagination into logic. 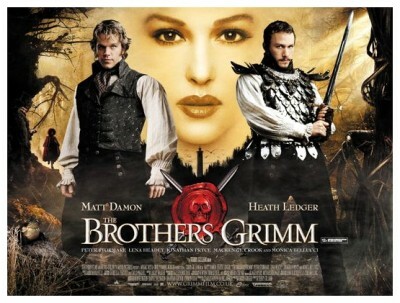 Wilhelm Grimm (Matt Damon) and Jacob Grimm (Heath Ledger) are a couple of traveling con-artist brothers who move from village to village, pretending to destroy evil spirits using their own elaborate stage props. 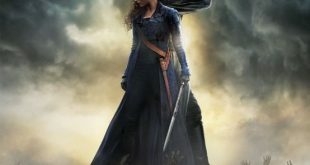 The French military, wise to their scam, follow their trail and forcefully recruit them as ghost-busters for a town besmirched by black magic from a neighbouring cursed forest. Unfortunately, the forest is genuinely enchanted, and the brothers gradually discover the hideous magnitude of their task. Wilhelm is logical and pessimistic: As the forest literally comes alive, he scoffs, “These people are much better funded than we are.” On the other hand, Jacob is quick to believe in something greater. Even more so when you’re up against the notoriously tough Weinstein Brothers, whose Hollywood battles are almost as legendary as Gilliam’s. For instance, Gilliam wanted Samantha Morton for a major role, while the Weinsteins wanted British actress Lena Headey. 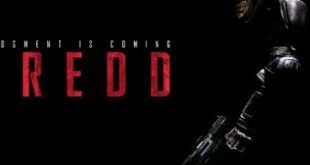 Headey got the role. Then there was the battle over Matt Damon wearing a prosthetic nose – Gilliam wanted him to look like a young Marlon Brando. That didn’t happen. 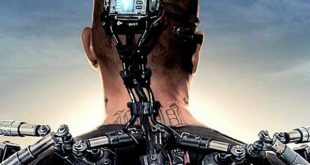 Then Nicola Pecorini, Gilliam’s original director of photography, was then sacked for working too slowly. By the time producer Charles Roven was ‘navigated’ off the project, it was clear the Weinsteins were winning the battle. At the end of the day, despite disheartening reviews and battles endured, Gilliam insists he had a great time making The Brothers Grimm. “That’s the only way to do this stuff, is to enjoy it.” With that wise advice in mind I’ll now take my leave of you, trusting to see you next week after I have scraped the bottom of Hollywood’s barrel to find another rotten apple to throw at you from…Horror News! Toodles! I very much enjoyed reading this insightful take on ‘The Brothers Grimm’. I can’t say I loved the film (I liked it) but I can say Gilliam did make what I consider the greatest movie of all: ‘Brazil’. There’s really no ways he could top that one and I don’t expect him to (Baron Munchausen was also brilliant). 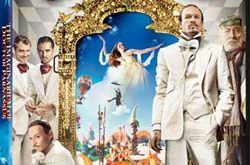 From his Python work through his films Terry Gilliam has proved himself to be one of the greatest artists of our time. Thanks again for reading! 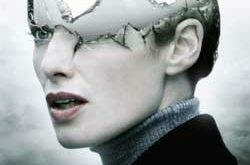 Terry Gilliam’s fiercely imaginative and blackly comic adaptation of a George Orwell-style dystopia, Brazil (1985), converts Nineteen Eighty-Four’s chilling indictment of fascism and Stalinism into a satire on modern bureaucracy, consumerism and the Thatcher-Regan era, making it the director’s most outspokenly conceptual film.